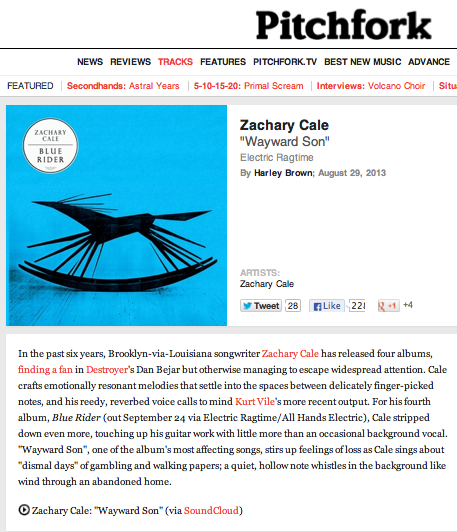 Pitchfork premiered my song “Wayward Son” last week. It sure was a nice thing to wake up to. Thanks to everyone for playing and sharing it! I just approved the test pressings, so Pre-Orders will be up as early as next week! Save the date: September 24th is Blue Rider release day! ⟵Down the Highway: Crystal Stilts Tour!